In 2017, Singapore hit US$229.1 million of fintech funding, a record mainly attributed to two of Asia’s ten biggest deals taking place in the city-state in the fourth quarter. The deals are the acquisition of Paynear Solutions by e-commerce startup GoSwiff for US$100 million, and global asset management fintech player Smartkarma’s US$13.5 million Series B funding round. The city-state continues to showcase its leading position in the fintech space and ability to attract foreign fintech firms, large corporates, and well-established international venture capital (VC) funds. Several fintech deals were closed since the beginning of the year, continuing to drive momentum for Singapore’s fintech industry. 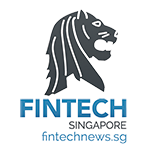 Here’s a news roundup of the latest fintech deals in Singapore. Kristal.ai, a startup that uses artificial intelligence (AI) to help clients manage their assets digitally, raised a US$1.87 million seed round led by IDG Ventures India. Angel investors including Shailesh Rao, senior advisor at TPG and McKinsey, and Amit Gupta, founding partner at Newquest Capital, also joined the round. The startup said it will use the new capital to advance its AI technology as well as expand beyond its current operations, which currently covers Singapore, India and Hong Kong, into Southeast Asia, the Middle East and the US. Kristal.ai works with sophisticated funds and family offices as well as mass affluent clients, who do not receive the service they should from private banks. It also aims to build a community of independent financial advisors, traders, and portfolio managers, thereby truly democratizing wealth management. Blockchain startup Zenprivex (ZPX) raised US$1.3 million in funding from investors including local seed stage VC firm SeedPlus and Milliways Ventures, among others. Zenprivex is working on a number of token products and is building a decentralized exchange. It is in the process of launching the 108 Token, an ERC-20 token that will dynamically re-adjust every month to the top 15 crypto assets based on the proprietary indexing methodology. The company said in a statement that it plans to use the capital injection to build its blockchain stack, launch new products, and make new hires. 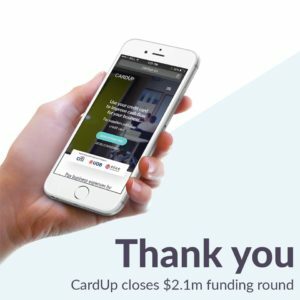 Payments startup CardUp closed a seed round worth US$1.7 million (SG$2.1 million) led by Sequoia India and early-stage VC fund Seedplus. 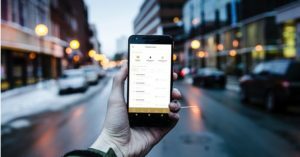 CardUp has created an online platform that lets users, individuals or businesses, set up recurring payments through their credit cards to pay rent, taxes, season parking, insurance, car loans, and more. Transactions made through the platform go to recipients via bank transfer so that landlords, insurance firms, and the tax service don’t need to be enrolled on it themselves to get paid. The startup said the new capital will help improve its business offering, which is aimed at small and medium-sized enterprises (SMEs). These companies often face problems with cash flow because of delayed payments from customers. CardUp is split between Singapore and India where the technology team is based. Asia Focus Group raised a total of US$20 million in token sales for the development of its multi cryptocurrency and group monetization chat application Consentium. The new chat app will reward users with cryptocurrency for virtually any group or community they create. The platform will allow peer-to-peer, multi cryptocurrency transfers between users. The company said the purpose of Consentium was to become a leading messenger app that would later evolve into an ecosystem for e-commerce, digital services, and financial products including remittances. 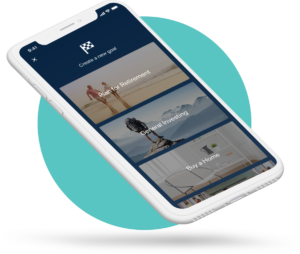 Robo-advisor platform StashAway raised a US$5.3 million Series A funding round from a group of family offices, including that of former Temasek executive and Asia Capital & Advisors founder Francis Rozario. The capital injection brings StashAway’s total funding to date to US$8.4 million across three funding rounds. The startup said it will use the funds to further develop of its AI tech and launch its service in one new Asia-Pacific market later this year. StashAway was the first robo-advisor in Singapore to get licensed by the Monetary Authority of Singapore (MAS) last year. The company provides a sophisticated, goal-oriented investment service with no minimum balance and low management fees ranging from 0.2% to 0.8%.